The “From Page to Stage” reading and theater translation panel at International Translation Day. From the left: Sasha Dugdale, translator, Chris Campbell, literary manager at the Royal Court, and actors. International Translation Day, an annual conference in London, has become a lodestone for the translation community to gather, talk shop and get inspired. Saint Jerome, the patron saint of translators, seems to have been smiling on the translation community of late. Every where you turn, there seems to be a translated book making headlines or peppering social media feeds. On October 2, Publishing Perspectives headed down to International Translation Day (ITD), an annual conference held at the British Library in London, two days after the saint’s feast day, to get a sense of the behind the scenes work that has helped make translated literature more visible and buzz-worthy in the UK. 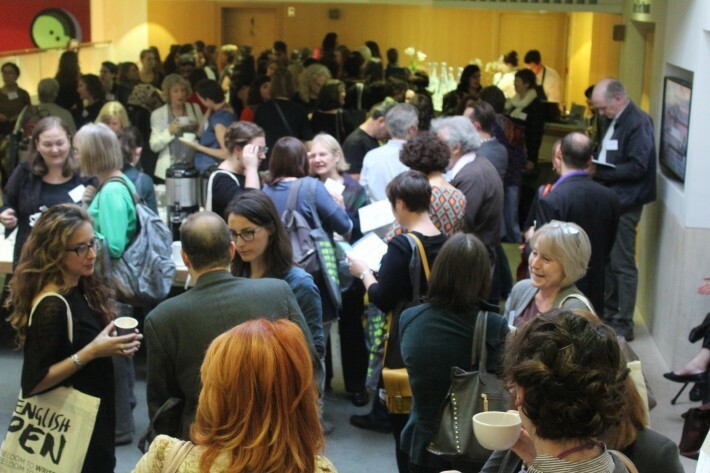 Crowds thronged International Translation Day in London last week. During conversations with Fenton and Samantha Schnee (founding editor and chairman of the board of Word Without Borders, who also sits on the board of trustees at PEN) it became clear just how inter-connected the swell of activity around translation in the UK has been to initiatives supported by the consortium presenting ITD. Take for example the Free Word’s Translator in Residence Program (which began in 2011), during which 2012 translator-in-residence Rosalind Harvey created the Emerging Translator’s Network, a forum for emerging translators to share knowledge about the art and business of translation. Jonathan Ruppin, Foyles’ web editor and a member of English PEN’s Writers in Translation committee, launched the English PEN Translated Literature Book Club in July 2015. There is currently a waiting list to join their monthly meetings at The Free Word Centre, but anyone can join the Facebook group, which Ruppin hopes to become a community hub for world literature in general. Members choose the books, in part dipping into English PEN’s World Bookshelf, which is comprised of over 100 titles supported by English PEN’s Writers in Translation Program (established in 2005 and supported by Bloomberg and Arts Council England). 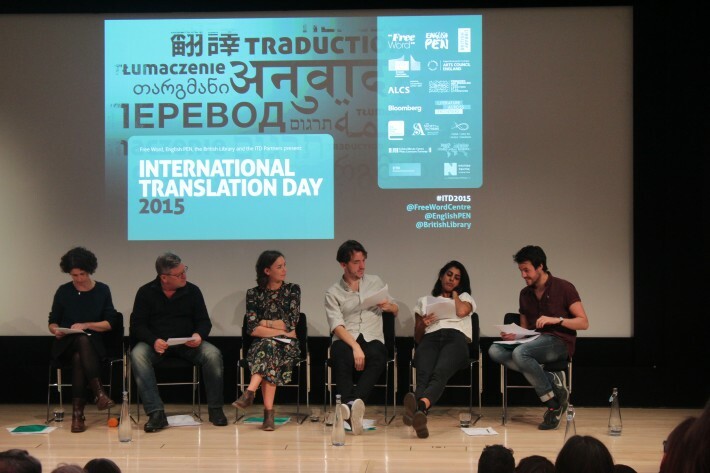 Not to forget the Harvill Secker Young Translators’ Prize, now in its sixth year. The prize was awarded at the Free Word Center on October 3 to Tuesday Bhambry. Along with the British Center for Literary Translation’s Summer School and Emerging Translator Mentorship Program, the prize is yet another example of the the work that has been going into nurturing the next generation of translators and stoking general interest in literature from around the world. This includes examining reports such as English PEN’s Taking Flight: New Thinking on World Writing, which was launched at the 2011 ITD event, and Literature Across Frontiers’ Three Percent? Publishing Data and Statistics on Translated Literature in the United Kingdom and Ireland (2013) in order to look at strategies needed for funders, educators, and beyond to continue building momentum around translated literature. Saskia Vogel is a writer and a Swedish-to-English translator. Her writing has appeared in Granta, The Paris Review, The White Review, Sight&Sound, and The Offing. Her debut novel, I Am a Pornographyer, will be published in 2019 by Dialogue Books/Little, Brown (UK), Coach House Books (North America), Mondial (Sweden) and Alpha Decay (Spain).